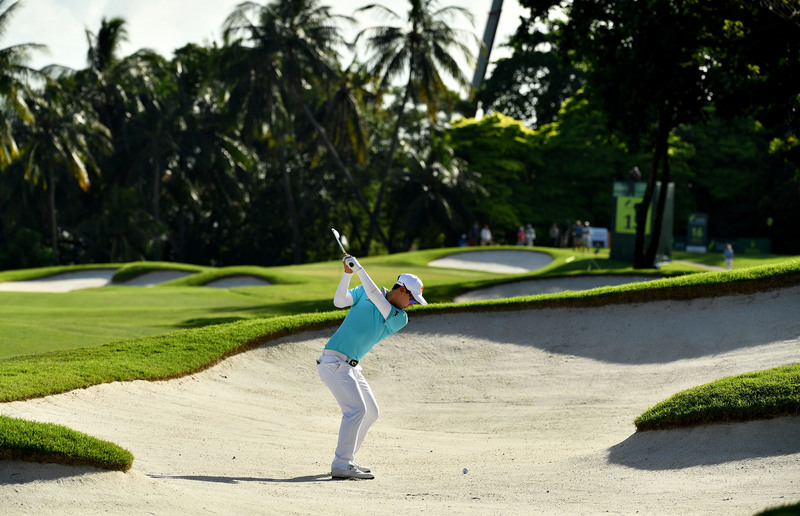 Thailand’s Jazz Janewattananond fended off nerves and was up against a star-studded field that included the best golfers from the Asian Tour and the Japan Golf Tour Organisation, as well as global stars Sergio Garcia, Paul Casey and Davis Love III. The Thai hotshot was enjoying a rich vein of form going into the Asian Tour season opener, having secured a fifth-place finish on the Asian Development Tour’s Boonchu Ruangkit Championship the previous week. He also posted top-fives at the Queen’s Cup hosted by Jaidee Foundation in late November and the BNI Indonesian Masters in December. Jazz was impressive on the front nine and made the turn with a three-stroke lead, only feeling the pressure after the turn on Sunday, and it mounted after he made a bogey on the 13th that cut his lead to one. However, he held his nerve to win the tournament, finishing with two birdies in the last three holes to seal a victory which comes with a US$180,000 prize cheque and The Open spot that he was aiming for. To add the icing on the cake, Jazz set a new tournament record for winning total with a score of 18-under-par 266, surpassing the mark of 267 set by Adam Scott in 2010. The win was Jazz’s third on the Asian Tour, his first on the Japan Tour and saw him book a spot in The Open for the second straight year. World Golf Hall of Famer Davis Love of the United States closed with a 70 to miss out on his goal of playing in The Open for the 27th time. He tied for ninth place on seven under 277, a stroke ahead of his son Dru who closed with a 65. Defending champion Sergio Garcia of Spain raced to the turn in four under 32 as he tried to close the gap at the top of the leaderboard but two bogeys and one more birdie saw him card a 68 for joint seventh place with Gunn Charoenkul of Thailand on eight under, 10 strokes behind the winner.